Dia de los Muertos is a holiday to remember friends andfamily who have died and to celebrate their legacy and support their spiritualjourney. This celebration of liferesembles the festive times of Carnival where families celebrate their spiritualjourney of Lent. Why do I paint? I paint because I find it extremely challenging. I fell in love with art from an early age. Growing up in Washington, D.C. with a single mother of four boys, she knew she had to find our passion early. As a result I discovered a passion for art after seeing a portrait of Frederick Douglass at the Frederick Douglass home in Anacostia. I was later mentored by renowned portrait painter Simmie Knox who was the first African American portrait artist to paint a sitting President. I sojourned to Africa, Brazil, the Carribean's and Europe where I had an opportunity to experience the world first hand and to allow that experience to cultivate my artistic view. MIKE EASTON, Department Chair, is a painter and art instructor who taught for several years in Prince George’s County public high schools and now chairs Ellington’s Visual Arts department. He was born in Washington, DC and earned his bachelor of arts and his master’s degrees from Howard University College of Fine Arts. Mike’s exhibits include the Ellington School of the Arts Alumni Show; Maryland National Capital Park and Planning; Market Five Gallery; Hood College in Fredrick, Maryland; Black Arts Festival, New York, NY; and the Atlanta Arts Festival, Atlanta, Georgia. Mike has been commissioned for commercial and personal projects. 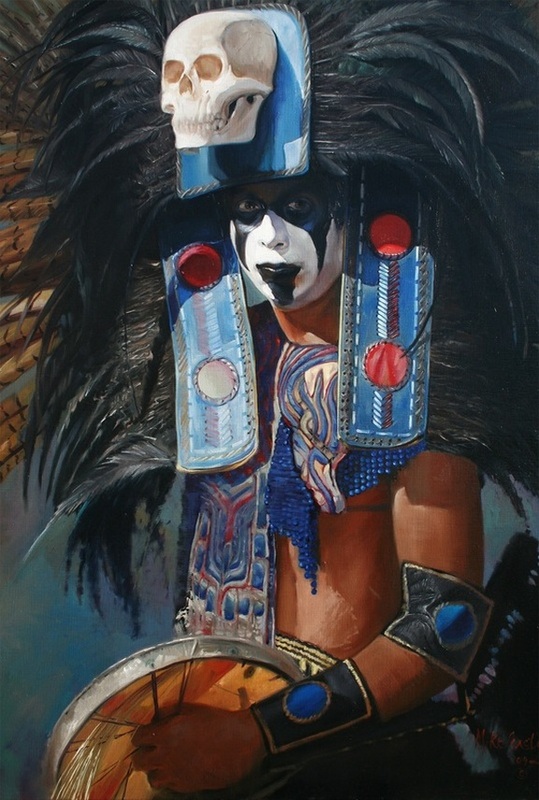 Mike’s influences are Simmie Knox, a portrait painter, and Diego Rivera, a Mexican painter and muralist.